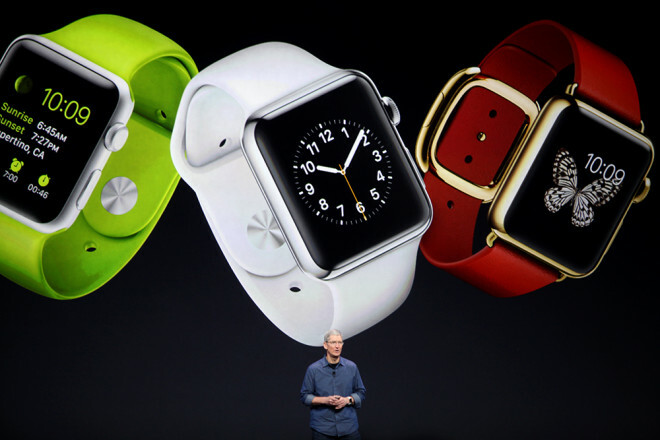 What’s New About the Apple Watch? Apple had its annual “next big awesome waste of money” press conference earlier today, and of course, they revealed a brand new iPhone 5… er… 6! Yeah, that’s the one, 6. More or less the same ol’ stuff, except Apple pulled a surprise twist toward the end of the presentation: the Apple Watch. Yes, that’s right. Everything everyone loves about the iPhone and other Apple products will now be available in the form of a trendy watch. Okay, okay. I know I’m being a little harsh on Apple, but hey, I’m not completely wrong here. They make decent products, and there are some incredible benefits to their iOS, but it’s just not for me. I’ve always felt the iPhone was lacking, and each iteration was just slightly better, or thinner, or whatever than the previous version. However, I was intrigued by the Apple Watch. Are Smart Watches the Next Big Thing? Recent years have seen a large influx of smart devices. Everything from our phones to our cars to even our refrigerators is “smart,” so why not our watches? There have been a few “smart” watches surfacing recently, but nothing that’s really taken off yet. A week ago, Samsung announced the Galaxy Gear, which is looking to be a truly smart piece of gear. Sporting a 1.63” AMOLED touch screen display, the Galaxy Gear will connect wirelessly to your Samsung Galaxy phone and offer a variety of control options for said phone. Running on an Android based system, the Galaxy Gear will be able to control everything from your music to phone calls and texts to more than 70 apps at launch. Also included in the wristband is a 1.9 megapixel camera so users can take pictures without ever having to take their phones out of their pockets. On top of all of these features, the watch will sport a stylish brushed metal face and come in a variety of colors. Will these features be enough to make the Galaxy Gear a success? More importantly, will it be enough to make smart watches in general a success? If trends have anything to say about this, then the Galaxy Gear will be a huge hit. What about other companies? Many websites have speculated that Apple will make a similar announcement at their big event tomorrow, September 10th. If these rumors are to be believed, we will soon have another technology war, but this time it will be slightly more fashionable. Arriving in the US in October, the Galaxy Gear will retail for $299.